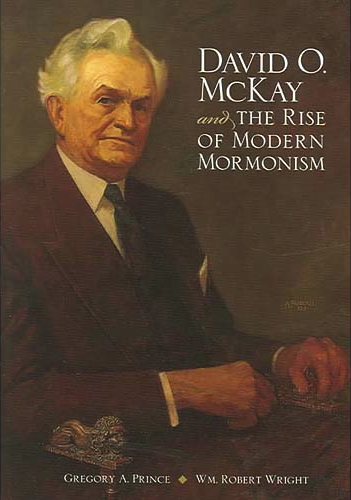 The following is taken verbatim from Greg Prince’s impressive biography David O. McKay and the Rise of Modern Mormonism. President McKay was a tireless advocate of free agency and intellectual liberty and demonstrated great tolerance for the exercise of those principles. He strongly condemned the rising tide of Communism primarily because he felt it limited people’s agency. But he didn’t merely talk the talk. A number of times he staunchly defended members of the Church who were under threat of discipline for their unorthodoxy or publications and created space in the Church for those with differing ideas. Among the immediate obligations and duties resting upon members of the Church today, and one of the most urgent and pressing for attention and action of all liberty-loving people, is the preservation of individual liberty. Freedom of choice is more to be treasured than any possession earth can give. It is inherent in the spirit of man. It is a divine gift to every normal being. Whether born in abject poverty or shackled at birth by inherited riches, everyone has this most precious of all life’s endowments—the gift of free agency; man’s inherited and inalienable right…. This principle of free agency and the right of each individual to be free not only to think but also to act within bounds that grant to everyone else the same privilege, are sometimes violated even by churches that claim to teach the doctrine of Jesus Christ. The attitude of any organization toward this principle of freedom is a pretty good index to its nearness to the teachings of Christ or to those of the Evil One.